Do you use barcode scanners? Then using scannable picking lists is your way to go. Pack & Go enables you to automatically print picking lists. 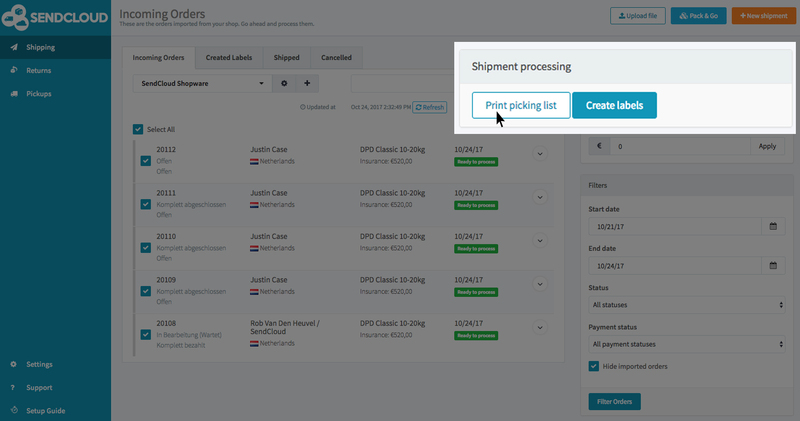 This quick guide shows you how to immediately start processing orders using a scanner. Pack & Go offers the possibility to process orders with or without a scanner. To set-up processing including a scanner, visit "Settings" > "Pack & Go". Next, select the "Scanner mode". Go to your "incoming orders" overview and select all orders. Next, click on print picking list. Choose your preferred printer once, thereafter all future picking lists will immediately come out of your selected printer. You can always change your printer settings via: Settings > Printer settings. 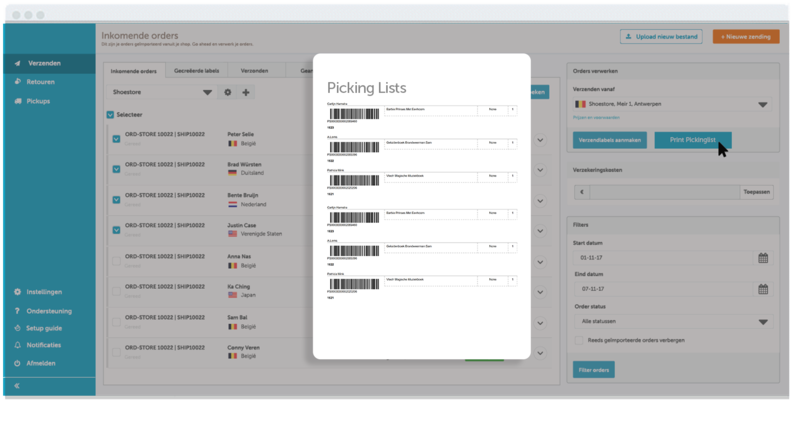 Use your printed picking lists to scan the orders with your barcode scanner. Scan ones and the order including shipping method and sender address will show. You can adjust them if necessary. Scan twice to confirm. Your shipping label will automatically come out of your printer. On to the next one! Combine smart shipping rules in order to automatically select the right shipping method for your order. This will save you even more time.